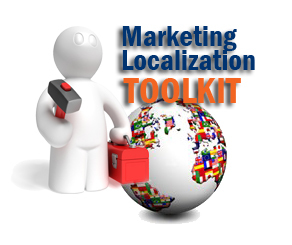 Free Download - International Marketing Localization "Tool Kit"
Localization is easy to say but intricate to execute. It's far more than just translation! So what is localization and how do I do it? If sales results in international markets matter to your company, then localization can't be an afterthought. Your messaging has to reach your target audience effectively. From our toolkit you'll learn the key steps! Download our toolkit now and take the mystery out of marketing localization.